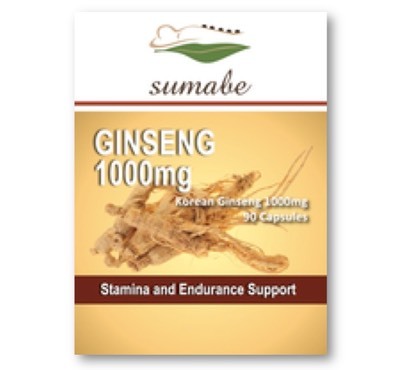 Sumabe® Ginseng 1000mg enhances stamina and endurance and also helps to reduce fatigue. Ginseng came to the west via traditional Chinese medicine. In Chinese medicine ginseng is said to replenish vital energy and promote health. In western herbal medicine it is classified as a tonic herb. A tonic herb can revitalise the body as a whole and increase the overall wellbeing of a person by supporting energy levels and reducing fatigue.